The first thing I did in January of 2014 was move back to Miami. After being away for over a decade, it came with a mix of emotions. I was so excited to be back in the city where I was born and raised. I had missed the palm trees and the sound of the ocean. The first time I drank café con leche it brought tears to my eyes. The people, the culture, the music; all of it made me dizzy with happiness. But at the same time, I felt a bit of sadness. I left home when I was very young while most of my friends stayed and built their lives here. I often heard, “when are you coming back?” or “we gotta hang out when you visit.” Yet, when I moved back hardly anyone reached out. And like I said, it makes me sad, but at the same time I understand that everyone has their own lives now. Work, families, and other friendships take priority. And that’s ok. I also realized that I was a stranger in my own city. So much had changed! But I had a plan to fix that. I went to Barnes & Noble and bought two Florida travel guides and made a goal to visit one new place a week. And for the first few months I was back I stuck to that and had a really great time! I went to places I hadn’t been since elementary school and to a lot of brand new places! Like most, I’ve had my fair share of heartbreak. And I honestly wasn’t expecting Will to come back into my life and change it the way he did. You see, we’ve known each other since the third grade. We went to the same middle and high school, but had different groups of friends and ended up never keeping in touch. Then in March, at a mutual friend’s birthday dinner, we ended up talking the whole night and have been inseparable ever since. I won’t go and get too mushy on you guys, but I will say that he is a wonderful man and I consider myself very lucky to have reconnected with him after so many years. 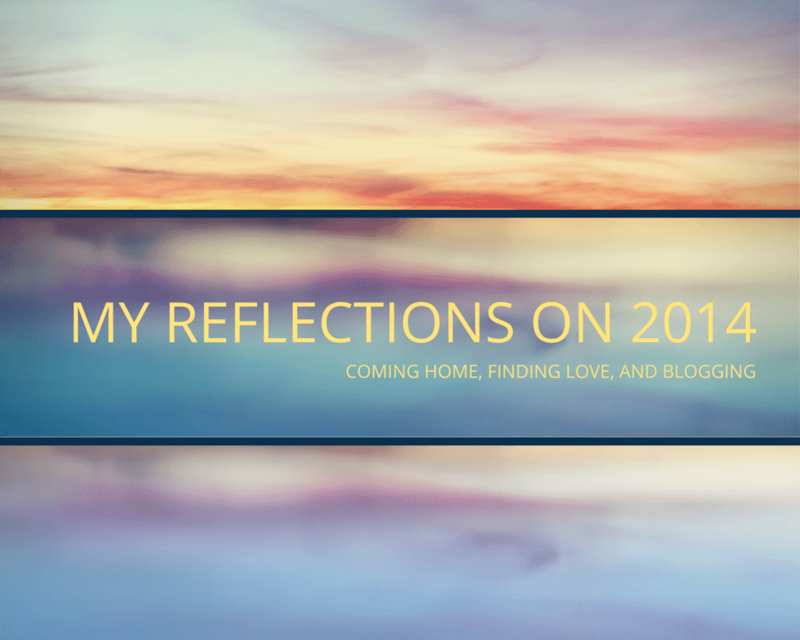 This year is also the year that I started this blog (Hi there! Thanks for reading!). It’s no secret that I love to travel and back in August I decided that maybe I could write about my travels. I followed other bloggers and their adventures and thought, “That could be me!” I totally had one of those lightbulb moments. But I was nervous. Would anyone care? Then I read the following quote and on the spot I made my decision. So far, this blog has been very rewarding and very frustrating. One second I get a comment that makes me think I’m actually inspiring others, then another second I think no one is even looking at what I’m posting! Now don’t get me wrong, I know nothing happens overnight and for my following to grow I need to put in a lot more work; but I can be very hard on myself I guess lol. I am learning though. About social media, how to build engagement, website design, etc. One of the best things I’m learning though, is to keep going. The biggest reason why bloggers don’t succeed is because they simply give up on their blog. So I’m going to keep at it and keep pushing the boundaries of what I think I can achieve. In 2014 I’ve realized that I need to expect the unexpected. People and things will come in and out of your life and a lesson can be learned from each of them. Some things you’ll have to let go and other things you’ll have to embrace. In 2015 I want to go with the flow. I want to love and be loved. I want to continue my rediscovery of Miami as well as add a few more countries to the list of places I’ve been. I’ve always tried to travel as often as I could but other responsibilities didn’t allow me to make it a priority. Now, it’s a priority. I want to continue to grow as a writer and to be taken seriously by the blogging community. And I want to inspire! I want to inspire people who think they can’t travel for whatever reason! It’s possible people, believe me! So with all that said, I want to thank you for reading my blog and wish you a Happy New Year. Figure out what you’re passionate about, work towards it, and kick some serious booty! Oh my gosh, oh my gosh, is it time yet? A New Year is a great time for introspection. I love how your emotions came through in this post. And your commitments to love, travel and curiosity will lead you in wonderful directions. Happy New Year! Thanks so much Betsy, I appreciate it. Happy New Year! Thank you MaryAnn! Happy New Year!